1. 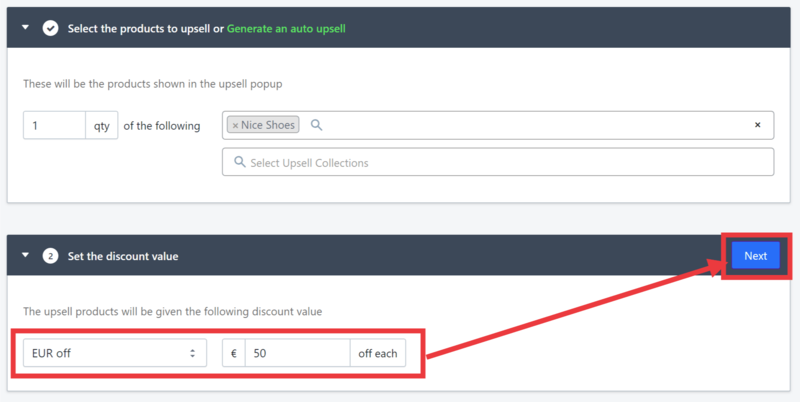 In the first box, enter Nice Shoes in the Select Upsell Products field then click Next. 2. 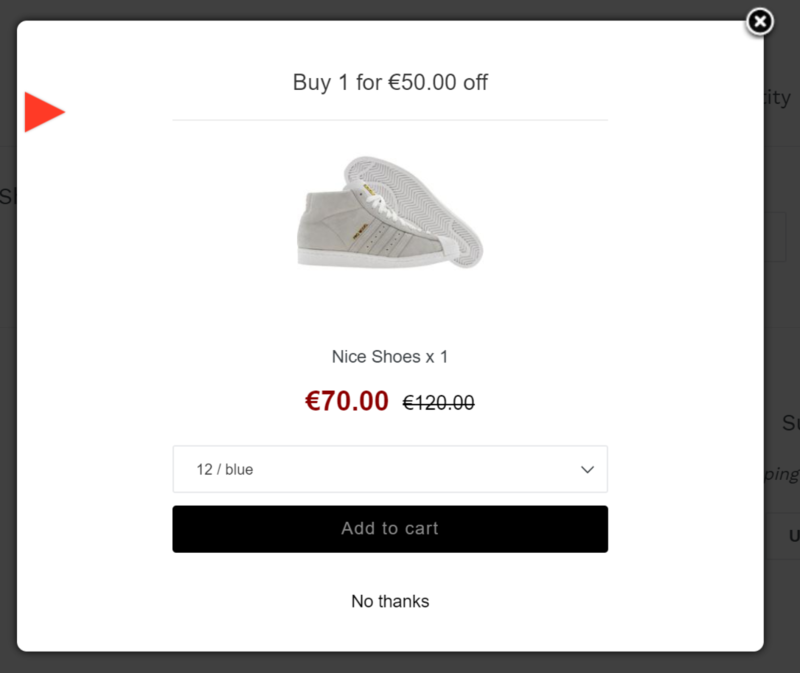 In the second box, choose EUR off and enter 50 then click Next. 3. 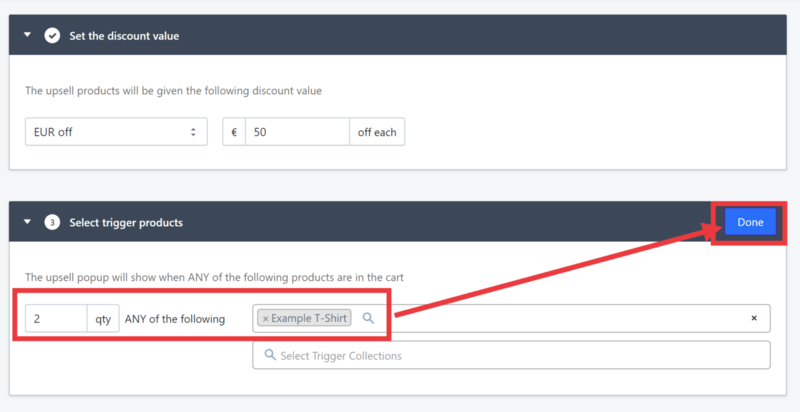 In the third box, enter 2 for the quantity and Example T-Shirt for the product, then click Done.